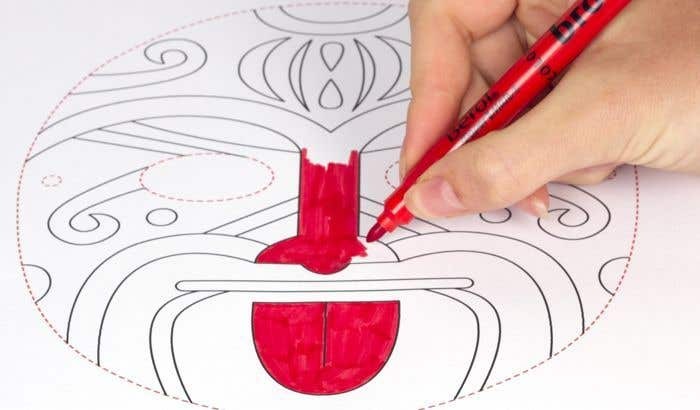 This colouring tattoo mask is a great Maori themed craft for the kids to make, and they’ll have great fun playing with it after! 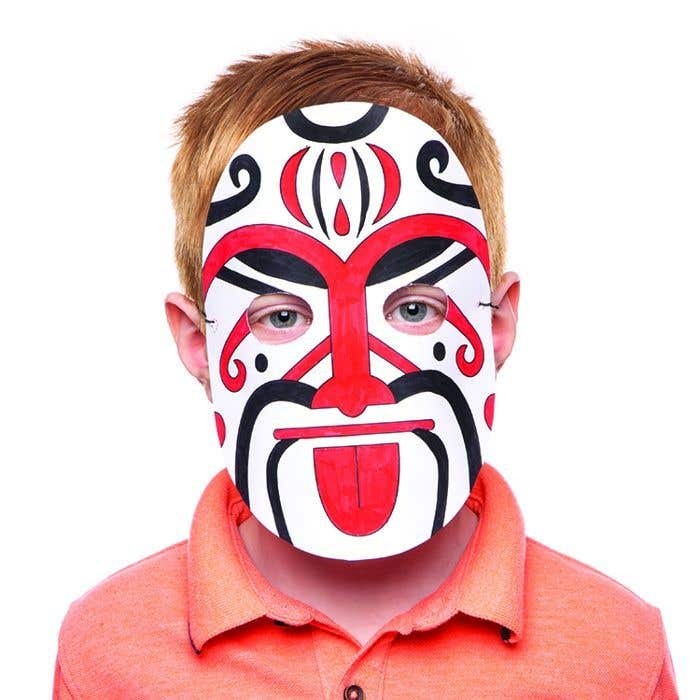 Download and print out the Maori tattoo colour in mask template onto white A4 copier card. 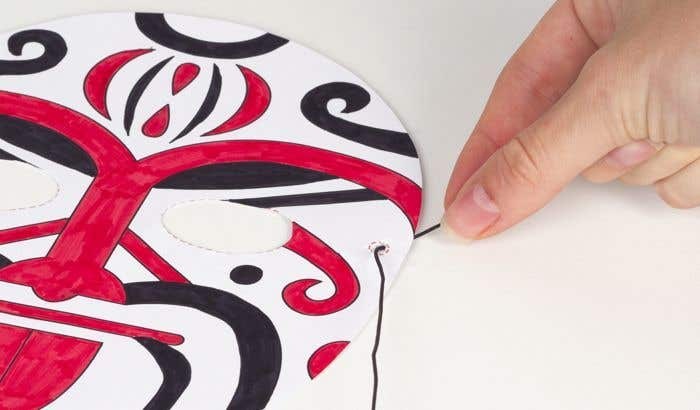 Colour in the mask design using red and black felt pens. Leave some of the details white to get the traditional colours – red, white and black. 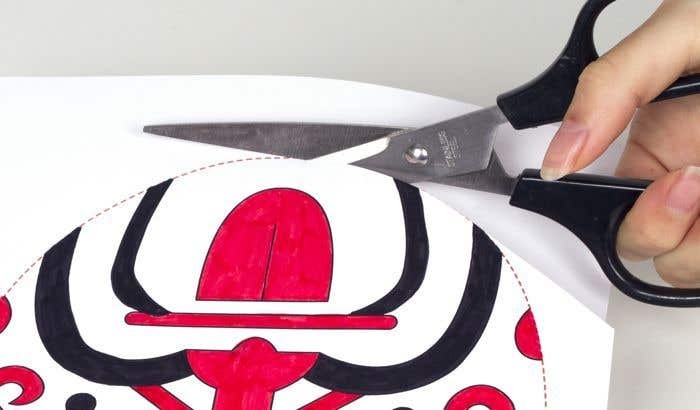 Once the pen ink has dried, use scissors to carefully cut out the mask along the red dotted line. Cut out the eye shapes along the red dotted lines. Then carefully use the scissors to make two small holes where the small red dashed circles are either side of the mask. Cut a length of black elastic, long enough so that it can stretch around your head. Thread the ends of the elastic through the holes in the mask and tie in place. Make sure the elastic is long enough to fit around your head but small enough so that it is a tight fit.